Windows 7 has been a powerful success for Microsoft. As an evolutionary upgrade to Vista, it patched almost all of Vista’s glaring holes: broken driver support, sluggish performance and the horribly annoying User-Account Control. 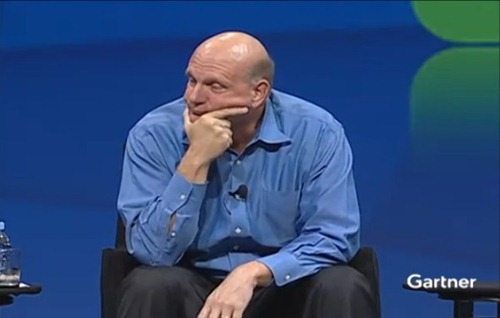 It sold more than 240 million licenses in one year and its next release will, according to Ballmer, be Microsoft’s riskiest product bet yet. Windows 8 is expected to be another evolutionary release to the Windows product line. We’ve heard of true instant-on (even better than the one in the new Macbook Air), a Windows Store for downloading software, cloud services support and face detection as a security option – all evolutionary, nothing revolutionary. Revolutionary would be an entirely new booting system / kernel, an all new registry design and an all-new interface design that takes Microsoft right back to the drawing board – starting from scratch a la Windows Phone 7. But yes, it would be a rather dumb move to implement all this in one fell swoop.. So in retrospect, Windows 8 / Windows Next shouldn’t be a risky move as long as Microsoft gradually adds new features instead of, say, going the way of the Cheetah.